An “enka” artist born in Saga Prefecture. Came to Tokyo when he was scouted by Kouji Tokuhisa at “The 1st The・Star Karaoke Senshuken Taikai” held in Saga, where he won the grand prize. Tokuhisa was a judge at the competition. On July 21st 1987, debuted with the song “Hokkai Suikoden”(which won the bronze award at “The 20th Shinjuku Ongakusai”). In 1989, became popular with the song “Touhanabi” which sold 250,000 copies. In 1991, held an enormous advertising campaign that he named “Nihon Rettou Rokka Douchuu” where he made appearances at 3,000 record shops all over the country. In 1993, won the Yuusen Ongaku Award at “The 26th Nippon Yuusen Taishou” with the song “Koijigawa”. On November 22, 1995, made a guest appearance at “The 1st Karaoke Festival・In・New York, Carnegie Hall” held by Nichibei Bunnka Kouryuu・Kokuren Shien Kouryuu Zaidan. On July 1st, 2001, held his 15th anniversary recital. 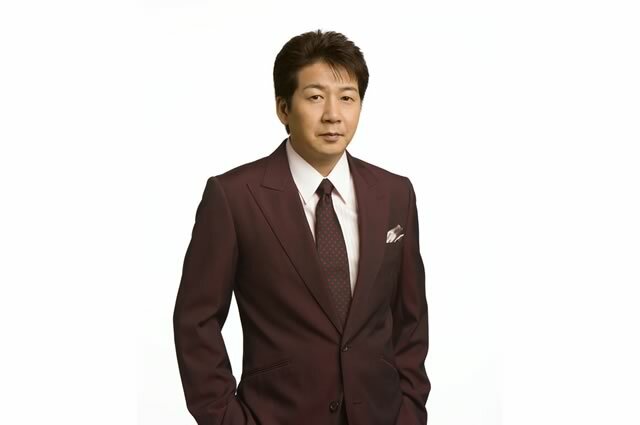 In 2003, his single “Yukemuri no Yado” won 1st place in the Oricon enka ranking chart. In 2005, the song “Watashibune” which she released in collaboration with Yuuko Nagai, who is an enka artist who shares the same hometown with Nishikata, won 1st place in the Oricon enka ranking chart. On September 3rd, 2006, held his 20th anniversary recital. Starting 2008, has periodically held events called “Tokumitsu Masayuki, Nishikata Hiroyuki no Shouwa wo Kataru・Shouwa wo Utau” with Masayuki Tokumitsu who belongs to the same company. Has held the event 5 times up until January 2010. On October 6th, 2010, released the duet song “Otoko no Kizuna” with his master, Kouji Tokuhisa.